In our part of the world, cold nights happen in just about any month of the year. Many times the National Weather Service will issue a Frost or Freeze Warning. However, other times they don’t, so gardeners need to be aware of nighttime temperatures throughout the growing season. 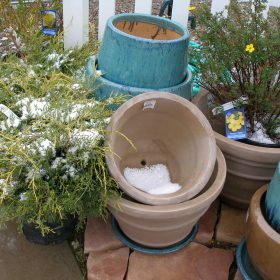 Here are our recommendations to help you protect your plants no matter whether it’s early spring when you’ve just planted them, an unexpected cold snap in the summer, or in the fall if you’re not ready to be finished with your garden just yet! Just as a blanket will keep you warm, it will also keep your plants warm! Cover plants with a sheet, newspaper, or bucket. Make a tent using poles or some other kind of support and drape a blanket, sheet, or even newspaper over it to keep the frost off tender plants. Avoid using plastic coverings. 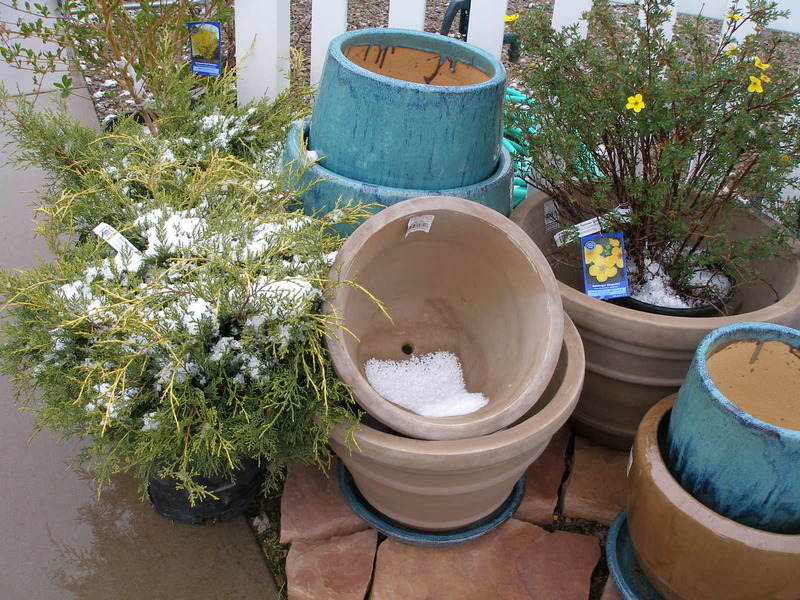 Plastic attracts the cold and may harm plants. Walls O Water, Season Extenders, and hot kaps are not only for tomatoes. Use these, if you have them, to protect any plants. Water is another thing to try. If you have access to water, set it to come on between 3 am – 4 am. This is the coldest time of the night. Let it run until the sun is up. If plants do show some signs of frost damage, wait a few days in order to give them time to recover before pulling them up. If you don’t have sheets, blankets, or newspaper, we have a good supply of frost guard, pop ups, and row cover to put over your plants. Don’t forget to drain your hoses, birdbaths, and other water holding items to prevent them from freezing or cracking. Call us at 565-8274 if you have any questions about specific plants- we’ll be happy to help!